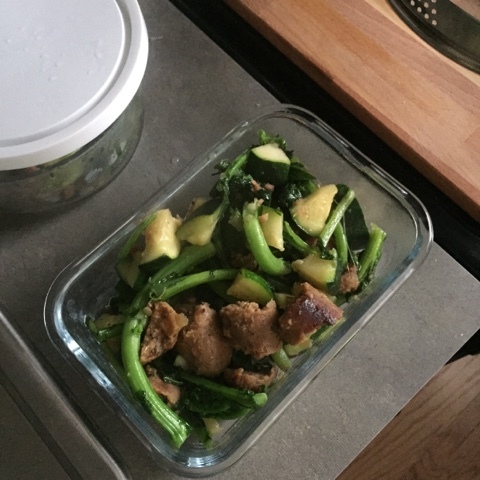 In the evenings before work, I try to whip up some low carb options that make lunch fun. Since the vegetables are bountiful this summer, this pasta is all about using what you have to make something good! I tried to take pictures of each step so hopefully that helps. 1. 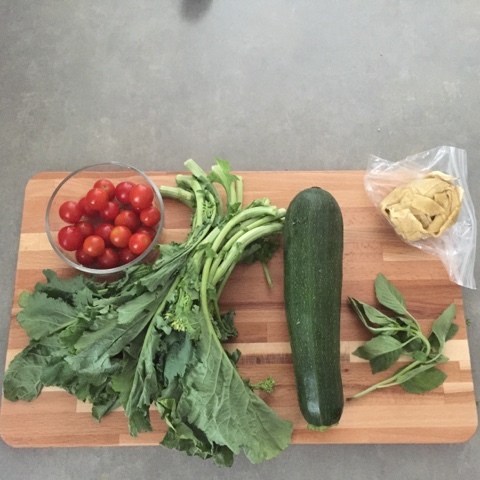 Clear your fridge - I had broccoli rabe, tomatoes, zucchini, some fresh pasta and some basil. 2. 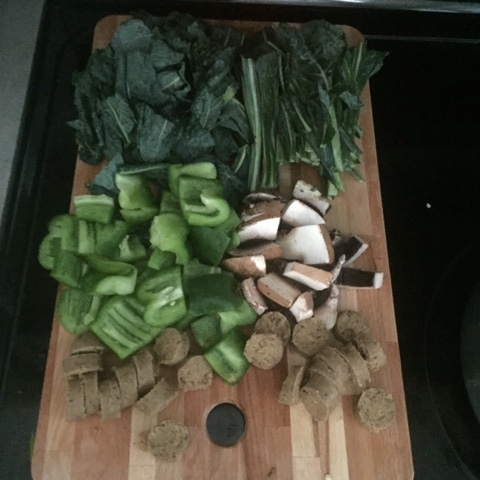 Chop up all the greens and veggies. 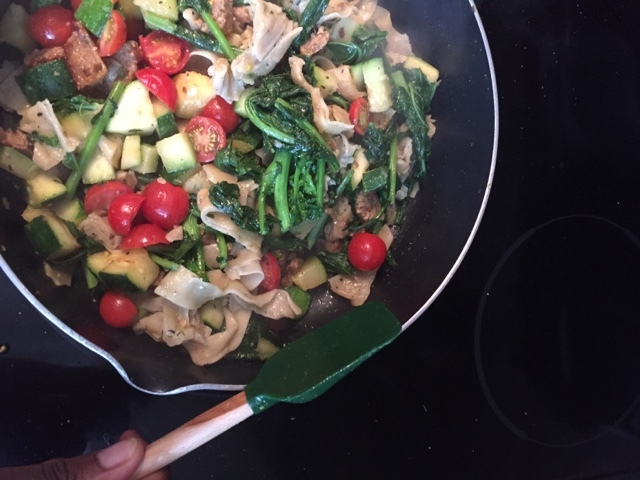 I also added some vegetarian sausage to boost the protein in this dish. 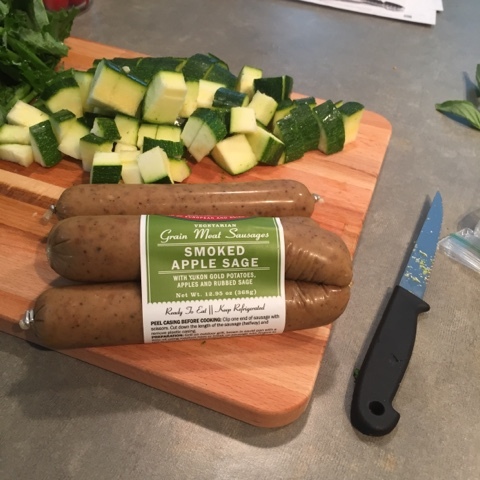 This is one of my favorite veggie sausage brands because they have really good texture and flavor. This one is smoky and sweet! I've also made the Italian one and it's delicious! 3. 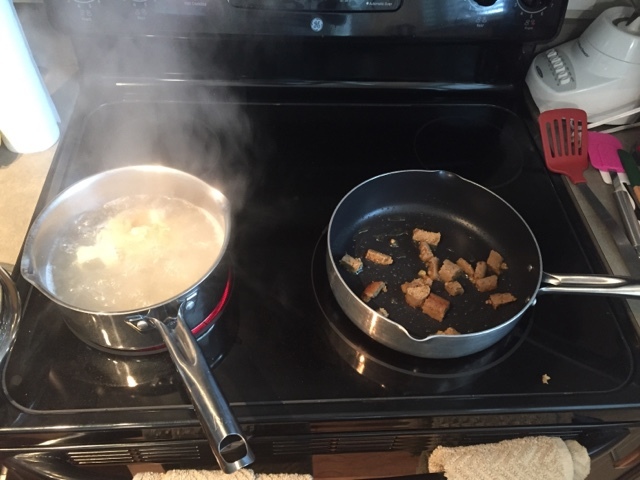 Start the pasta water and sauté your fake sausages. I like to get the oil tasting a little like the sausage before adding the rest of the veggies. 4. Add the zucchini first and then the greens. The succhini needs more heat to soften so I usually just leave it like this for a few minutes before stirring the greens in. 5. Right at the end, add the tomatoes for like 2 minutes and the pasta as well. Thy don't need much cooking so just them in and cut off the heat while leaving the pan on the burner. 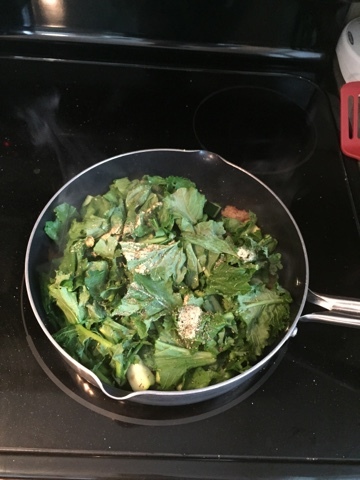 For my truly low carb friends, I've made this recipe using the stalks of the greens as the "pasta". For this, add the stalks with the zucchini and let it cook for 4 minutes until they are soft before adding the rest of the veggies. 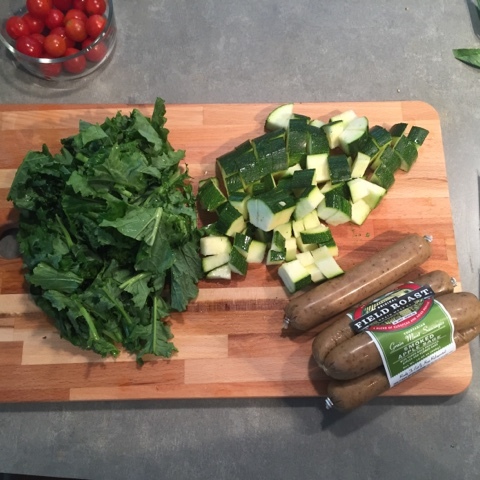 Another version is peppers, mushroom, kale and the Italian version of this sausage.